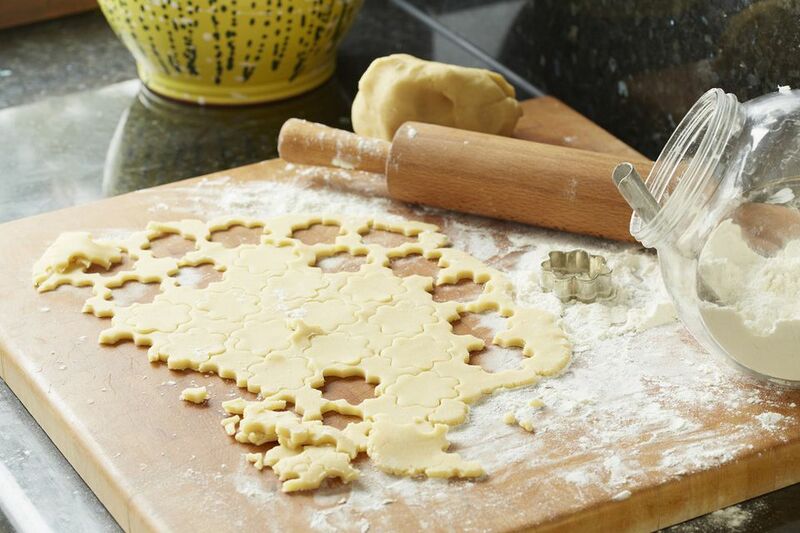 Cookie cutters make it easy to cut cookie dough into fun shapes. Sometimes you'll find yourself without a cookie cutter. Maybe you left it at a friends, or you've just moved and it's still burried in your box of kitchenware which is buried underneath other boxes. Don't worry, If you don't have any cookie cutters (or the right one), there are plenty of other things that you can use in their place. Look around your kitchen, and you are bound to find a few objects and tools that can help you cut cookies. The shapes can be as simple or complex as you like and customized to fit a party, holiday or any occasion. If you try one of these methods and it just doesn't work out, don't worry! Simply ball up and roll out your dough and try again! This is one of the most common solutions, and it works pretty well. You can use different sized glasses to create cookies of various sizes. You may need to flour the glass rim, so the dough doesn't get stuck inside. Glasses with a thin rim work best because they can cut through the dough easier. The one disadvantage to using glass is that there's no easy way to get the dough out if it gets stuck. If you remove both ends of a tin can, the problem is solved. When the dough sticks inside, push it out from the opposite end. Be sure to bend back any sharp pieces that can cut you or tear the dough. Use a small, sharp knife or pizza cutter to cut any shape of cookie you like after rolling out the dough. Create a stencil out of cardboard or parchment, wax or plain paper for simple shapes like hearts, shamrocks, eggs, and flowers. For complex shapes (or if you're not very good at drawing), use your computer and print an outline of the shape on your inkjet. Be sure it is the size you want for your cookies. Cut basic geometric shapes like squares, diamonds, and triangles by rolling your dough into a square. Use a straight edge or ruler to guide your pizza cutter along the length of the dough until you get the shape you like. Use a tablespoon to make uniform balls of dough; place them on a cookie sheet; and bake. The baking time specified in your recipe should work but watch your cookies in case they bake faster.. You can also flatten the balls out with a rolling pin or the back of a spoon. Roll your dough into a log and slice off cookies with a knife. Baking times may vary slightly, so keep an eye on the oven. If your recipe recommends a thickness when rolling out the dough, try to cut slices as close to that as possible.